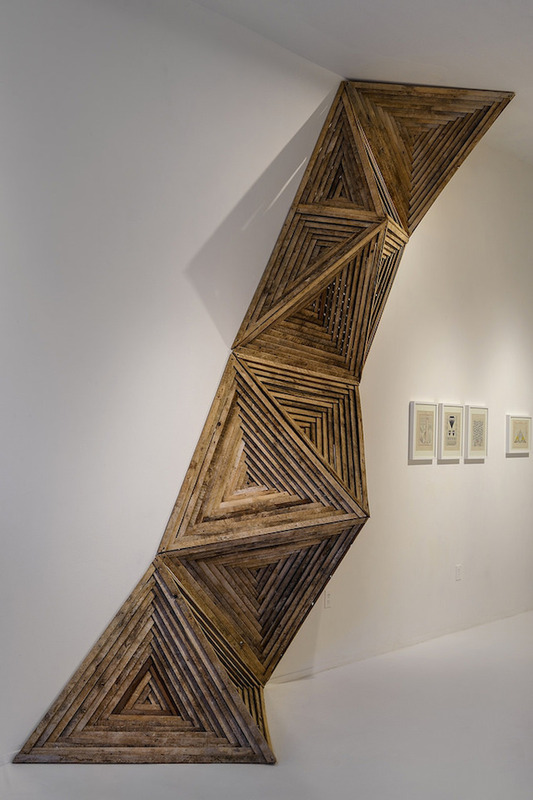 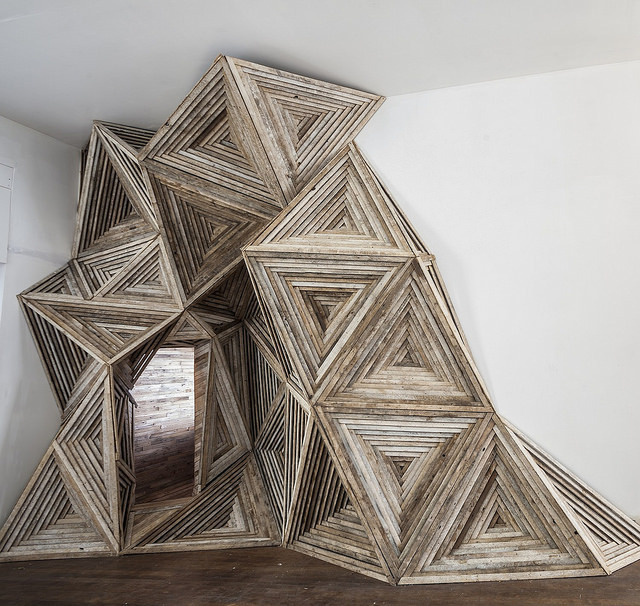 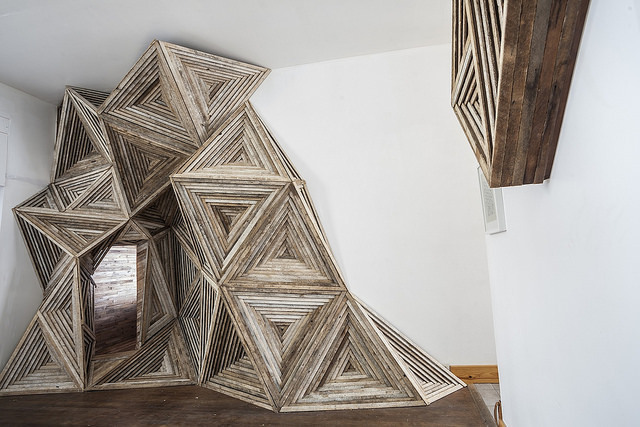 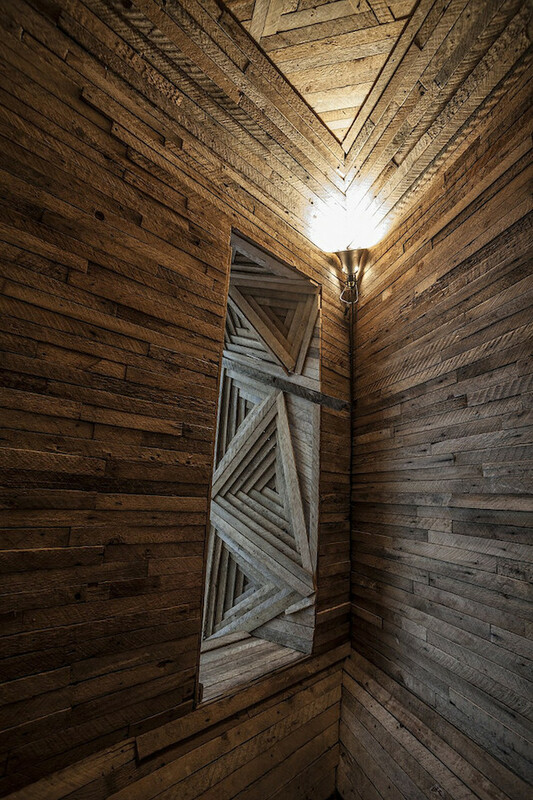 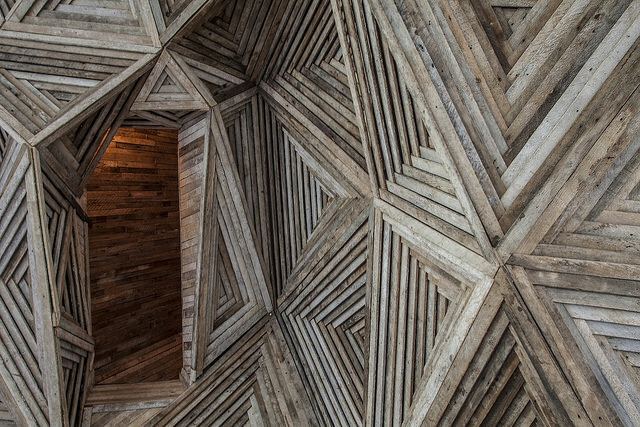 To conceive this interior wooden installation, Serra Victoria Bothwell Fels got inspired by crystal polygonal facets. 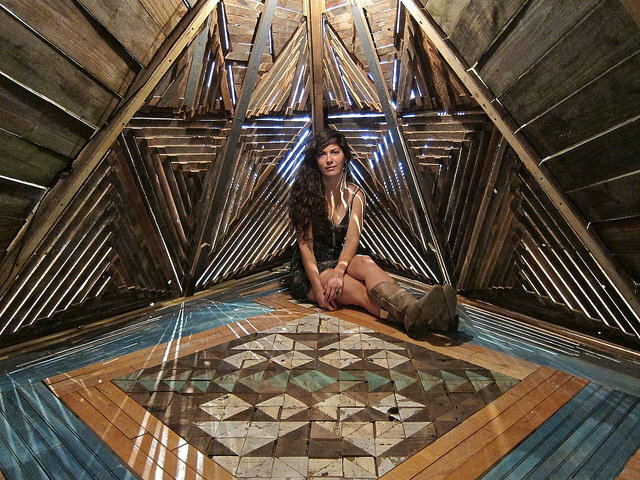 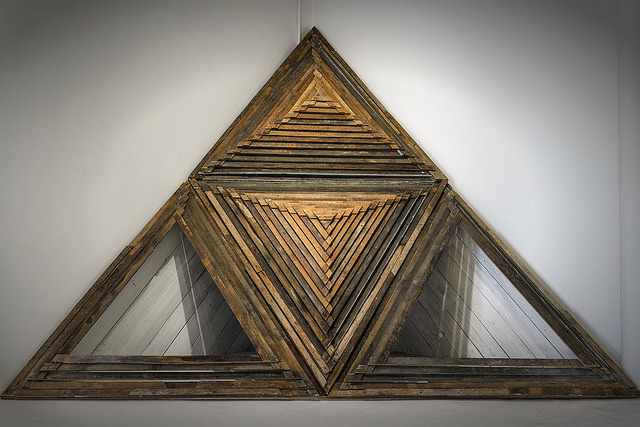 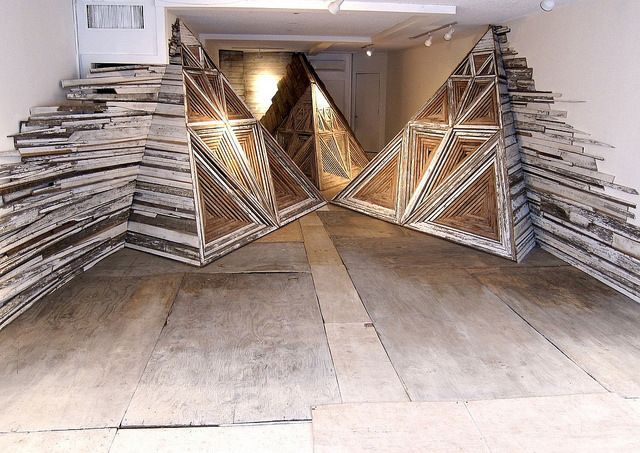 Then she piled up reclaimed wood pieces and tessellate it imitating the structure shape of a triangular hive. 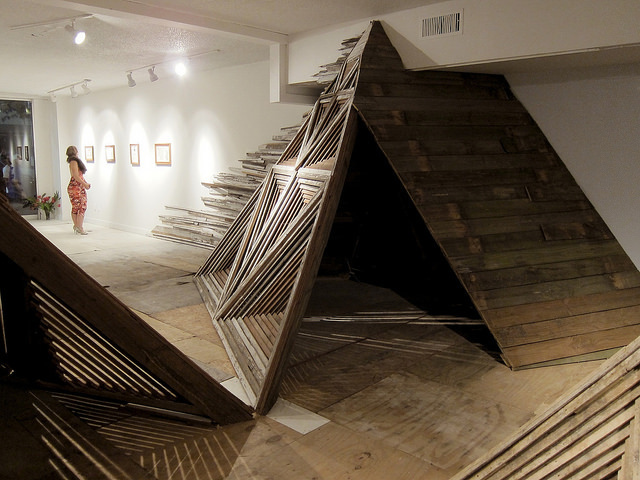 Find out more in the gallery.